Stay Woke! 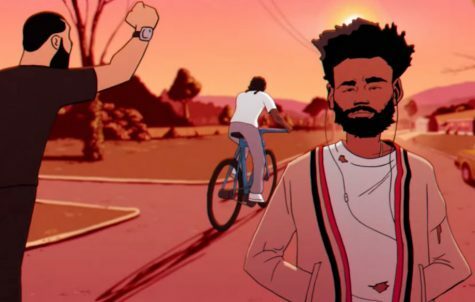 Childish Gambino (Donald Glover) has the public talking about his new music video, “Feels Like Summer.” The footage has animation cameos from artists such as Solange, Janelle Monae, Lil Yachty, Travis Scott, Migos, Kodak Black, Nicki Minaj, Chris Brown, and more. Even though summer is almost over, Gambino has me feeling like it’s going to be summer a lot longer. Gambino walks through a neighborhood while other rappers and artists are caught up in situations or seem to be enjoying the summer day. There is a lot of symbolism in the video, but the two that stand out is Scott and Minaj playing with blocks and former First Lady Michelle Obama hugging a crying Kanye West while in a “Make America Great Again” hat. Scott can be seen taking a block under from what appears to be an empire that Minaj built. This illustrates the feud between the two artists in which Minaj claims that Scott is the reason her Queen album didn’t go #1 due to him seeing merchandise with his latest project, Astroworld. The tender and loving hug that Obama gives West could represent the fact that he needs a Black woman to save him from himself. A man that once stated that “George Bush doesn’t care about Black people” during Hurricane Katrina is now advocating for someone like Donald Trump who clearly…I’m not going to go all the way there, but you get my drift. Some folks were feeling the Obama and West illustration and others not so much. 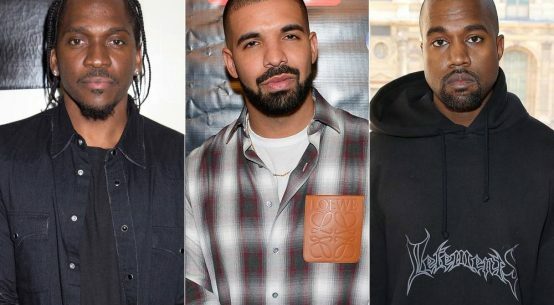 I find Gambino’s illustrations in the video compelling and well put together representing what’s happening in the music industry with some of Hollywood’s biggest celebs. Nicki Minaj Review: Could Her Outbursts Be The Beginning of The End? CeeSoDope Remembers Aaliyah 15 Years After Her Death!